In 2017, the California legislature passed a bill, SB 1, that increased gas taxes and vehicle registration fees in order to raise $52 billion over the next ten years. 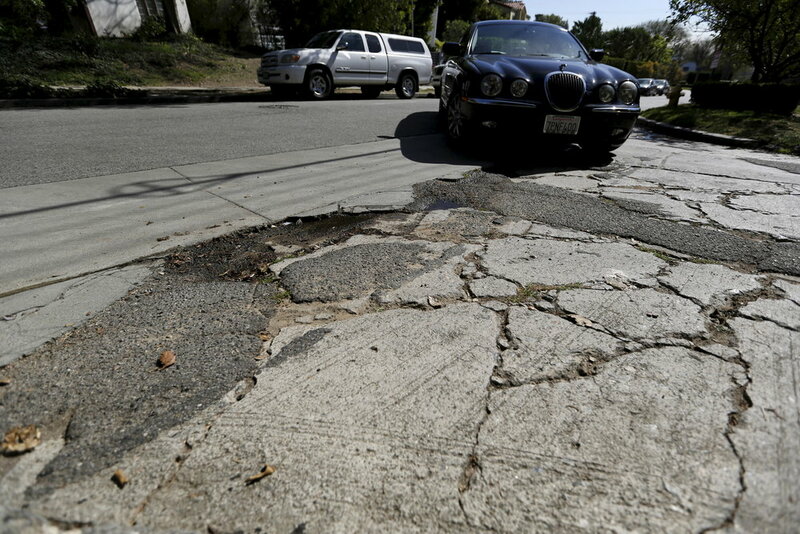 This funding was intended to address California’s massive infrastructure and transportation deficit, including a freeway maintenance backlog of $59 billion. Although much of the funding from SB 1 is currently slated to support highway and road repair, there are allocations for massive transit and other progressive transportation programs. Another $100 million is allocated for Active Transportation, which includes improvements to walking and biking infrastructure. Of that, $25 million will bolster community-planning efforts. Additional funding is dedicated to workforce and job training strategies related to transportation. Most Democratic and a few Republican legislators voted for the measure. Prop 6 would overturn the increases in gas taxes and vehicle fees and stop the hundreds of transportation projects that are already in the works. This initiative requires any future gas tax increase be approved directly by voters, which will make it difficult to acquire the resources our state and counties need to fund vital infrastructure. The money has to come from somewhere and we think it’s both smart and fair for the people who are using transportation — especially the heavily polluting, gas-filled automobile type of transportation — pay for the costs of associated infrastructure. It’s also worth noting that in June 2018, California voters approved Prop 69. This measure constitutionally guarantees that the money raised from the gas tax and vehicle fee increase will go exclusively to fund transportation repairs and improvements. So there’s no worry that the legislature will try and spend the money raised by gas taxes on anything else. Conservative groups placed Prop 6 on the ballot because they realized an anti-tax initiative would be helpful in getting their voters to the polls. The initiative was spearheaded by Carl DeMaio, who’d previously led the recall of California State Senator Josh Newman (D-Orange County). The California Republican Party has thrown its weight behind this repeal. They have even enlisted support from national GOP leaders, including U.S. Speaker of the House Paul Ryan. Although some Democratic congressional candidates in conservative areas have supported Prop 6 to neutralize it as an issue in their campaigns, the pro-Prop 6 website includes only Republicans. This initiative is clearly being used as a wedge to gain partisan advantage. We urge everyone to vote NO on Prop 6. Environmental groups: California League of Conservation Voters, Environmental Defense Fund, Environmental Health Coalition, Natural Resources Defense Council (NRDC), Sierra Club California, Nature Conservancy, and TransForm. Civil rights, economic justice, and civic engagement groups: American Civil Liberties Union (ACLU) of Southern California, Clergy and Laity United for Economic Justice (CLUE), East LA Community Corporation, Inland Congregations United for Change (ICUC), LA Voice, League of Women Voters of California, Los Angeles Alliance for a New Economy (LAANE), and Public Advocates. Transportation groups: Alliance for Community Transit – Los Angeles (ACT-LA), Move LA, California Bicycle Coalition, Investing in Place, Los Angeles County Bicycle Coalition. Local governments: California State Association of Counties (CSAC), League of California Cities, California Association of Councils of Governments (CALCOG), California Contract Cities Association, and Los Angeles County Metropolitan Transportation Authority. Senior groups: Congress of California Seniors and California Alliance for Retired Americans. Business groups: California Chamber of Commerce, Los Angeles Business Council, Los Angeles Area Chamber of Commerce and most regional chambers of commerce.